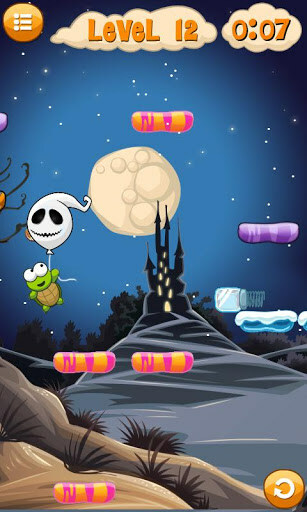 Bouncy Bill – Games for Android 2018 – Free download. 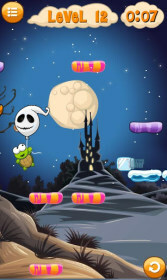 Bouncy Bill – Exciting logic arcade game. 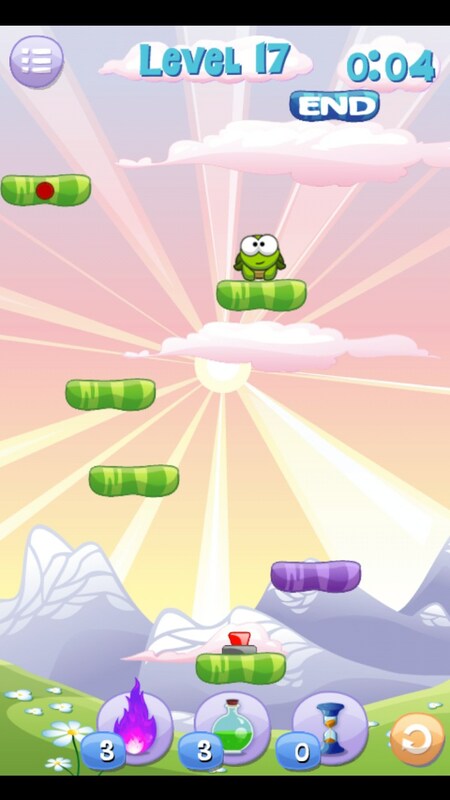 Bouncy Bill (Billy skipjack) - it's an interesting puzzle arcade game in which we are in the role of a small turtle jump on the platforms. 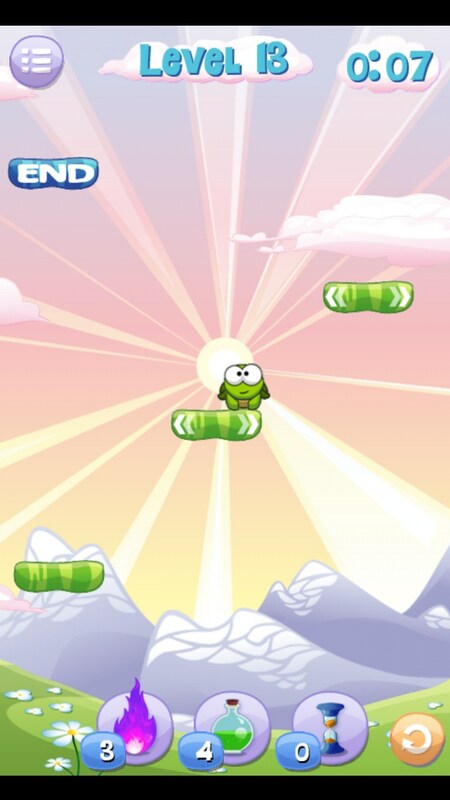 At first glance, the interface reminded series game Cut the Rope , it was too similar to the main character in the famous Am Nyamaa, but things turned out quite differently. 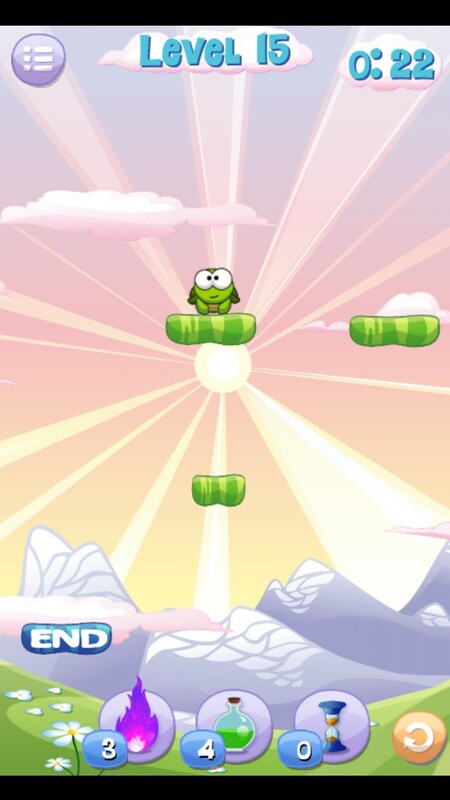 Development of the game belongs to the studio MoMinis, whose behind more than a dozen fairly average, but very popular in Google Play Games. But it is about the arcade Billy skipjack was the most interesting by the original and unusual approach. 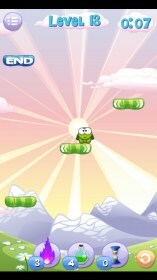 Each level is a set of static and dynamic platforms, and we as a turtle to get from point "A" to point "B". It would seem a simple task, but if there is one limitation - all we can do is jump up and slow his fall by parachute. 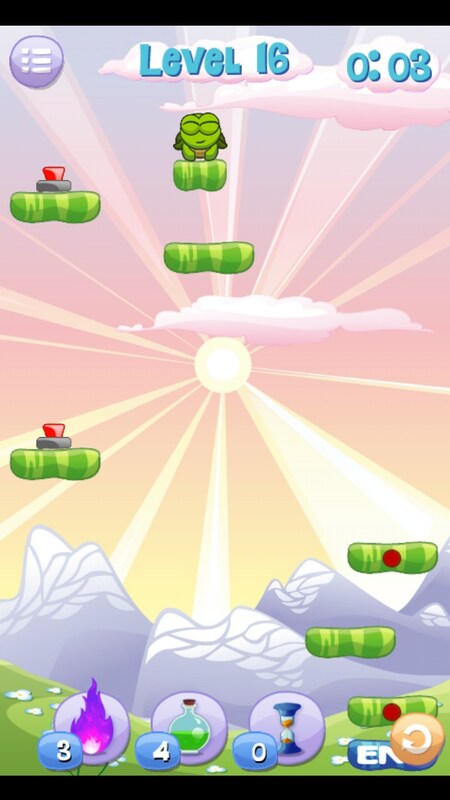 To complete a level, you need to not only calculate the time jumping and falling speed, but also to determine the correct sequence of jumps and solve the problem in my head, because in most cases it seems to overcome the level and not impossible. A large number of devices to progress through the levels (balloons, exploding refrigerators, etc.). 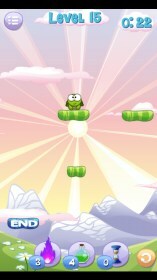 If you get stuck somewhere, then you always have the opportunity to start the level from the beginning or use tips bonuses. 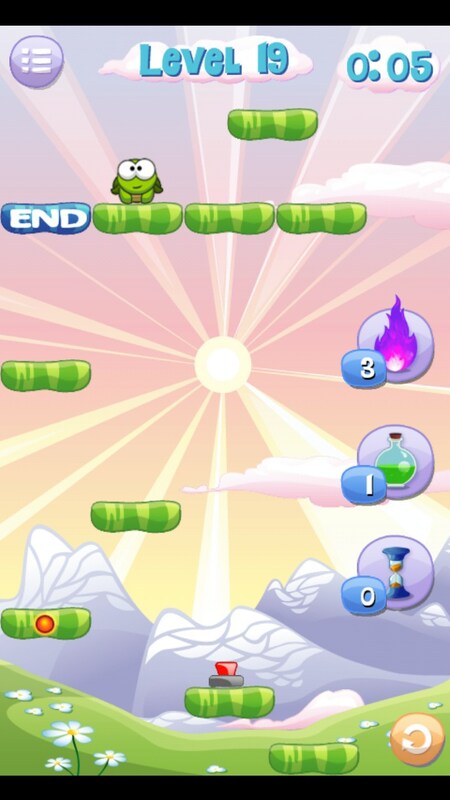 Some of these tips you can move one step forward and will help at all to teleport directly to the finish line (skip level). 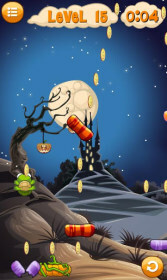 Since the game is free, the developer receives the income is due to the purchases of these tips. 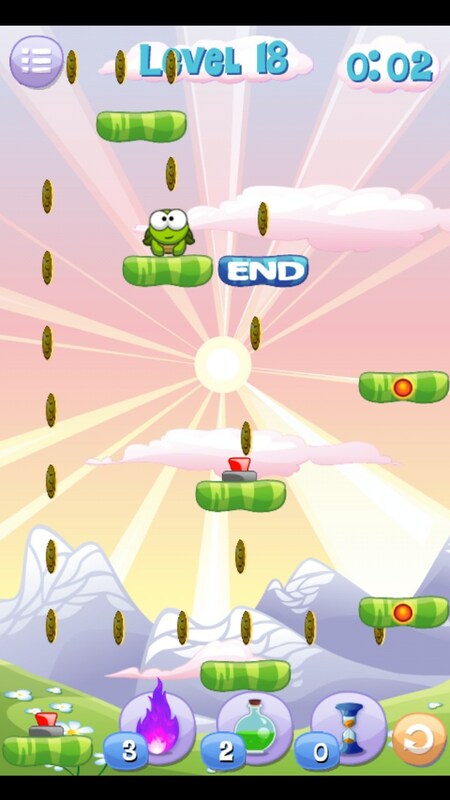 The disadvantages of the game include some roughness and simplicity of graphics as well as the complexity of some of the levels, but it is more than cover free games and the ability to comfortably pass the levels with one hand, because all the control is in a single jump. Summary. 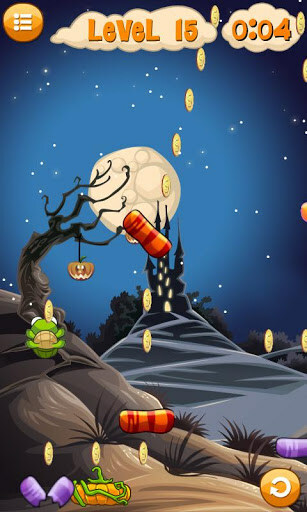 Billy hoppers - a new and unusual puzzle game that will appeal to all those who are already rather tired of the Bad Piggies, Where `s my Water. Finally a breath of fresh air in the world of similar and repetitive games. Great app that lets you stream video content and more!